Whilst much of our business activity is now conducted over the internet, as of yet, there is nothing that can quite match the benefits that come from physical, and actual, networking. It’s one of the oldest and most reliable ways to build working relationships and for all its perks, it’s something that the internet doesn’t yet offer. In a classic conference or event situation, you’re bound to meet many new faces and it would be almost impossible to make a memorable enough impression on all of them. For that reason, it’s crucial that professionals have a stack of business cards ready to go, as they can achieve what digital platforms will never be able to do. 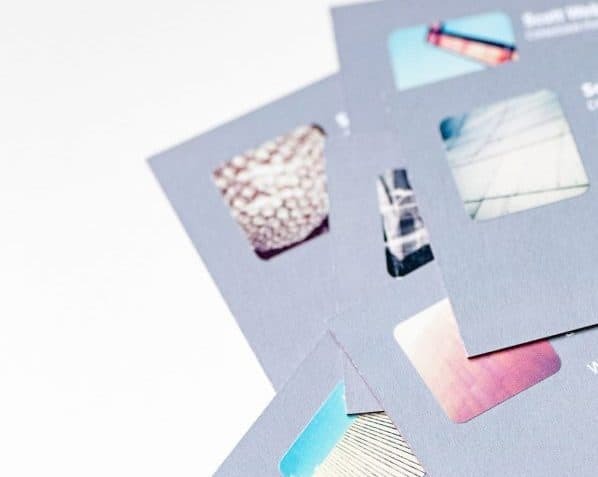 In this post, we will consider why business cards remain as relevant as they ever have been and why there is no digital alternative. Sometimes, digital and modern, isn’t always better than traditional and classic and it’s into this that business cards undoubtedly slot. In essence, when you first meet someone there is no digital alternative that allows you to concisely give all of the key information that a business card contains. It’s hard to foresee any kind of development that will change this and so, it stands to reason that business cards will probably never go out of fashion. You’re at a busy networking event and conversation is buzzing around you, but you’re fixed on the person stood in front of you and you’re trying your best to listen to the web address that he’s giving you. You miss it and so, you ask him to repeat it but unless you start scrambling around inside your pockets for paper and a pen, there’s no way that you’re going to remember it. But imagine if that same person had instead slipped you a business card. It would have been easier to keep the conversation going, uninterrupted ,and it would have meant that you could have followed up with the person at a later date. It’s funny, I met one of my best friends through a simple exchange of a business card, a man that I recently had the pleasure of inviting to my wedding – all from a simple business card exchange. I digress. For all its perks, benefits and other positives, modern technology is not entirely fool proof and as with most things in life, there is always room for problems. Websites go down, the internet can go off and other mishaps can often plague modern businesses. But the same cannot be said for traditional business cards, which are not subject to the same risks that digital platforms might face. They are cheap, consistent and effective, what’s not to love? If you are able to hand over a business card the minute that you first meet someone, it is bound to give an excellent first impression. It shows confidence, it shows professionalism and it demonstrates that you are someone who means business. Whilst there is a time and a place for digital promotion, there is something to be said for the use of a business card.